The world of Metro Exodus is huge. Unlike the previous instalments in the series, almost every area is an expanse — an open, explorable map filled with mysterious places and strange characters. Exodus isn’t like your typical post-apocalyptic RPG, it’s secrets are far more subtle and far harder to discern — it’s often hard to know what counts as a secret. But wading deep in the Volga, trudging through scorching sands in the Caspian Sea, and sneaking through the forests of the Taiger, these are the best that I was able to find. You might remember that while in the Volga, Stepan asks you to find a guitar for him. If you head to the location, a bandit base, built around an old pylon, you’ll also find an acolyte from the Church of the Water Tsar locked in a cage. If you free the fish worshipper, he’ll kindly tell you off a forbidden island, where a heretical device lies dormant. Go to the island and turn on the generators to unlock the vault. Inside you’ll find this mysterious crispy cadaver, poorly from too much electric. Crank up the juice and you’ll receive one super-powered flashlight battery — though admittedly still covered in bits of chest matter. Just to the west of the island with the battery man, you’ll find a part sunken building that looks a little like a nursing home. If you go there in the day, something will seem off — things will get blurry and radiation will spike. But do yourself a favour and come back at night. In the day, they are hard to spot, but at night you’ll realize there are shadows of people moving on the walls. Finding the diary in the last room, you’ll read the story of a makeshift hospital, struggling to treat horrifying radiation sickness after the nuclear event. If you go south of the Demon nest where you find Nastya’s Teddy, you’ll find a shack with two acolytes of the Church of the Water Tsar. They are listening to music on a tape player, and it quickly becomes clear that they are father and son. Approach with your weapon lowered and you’ll learn that the father is trying to introduce his indoctrinated son to the wonders of technology. The son will threaten you, as a heretic (especially if you keep shining your flashlight on him) but the father will apologise for him, explaining that they are not bad people – that his son’s beliefs are merely a product of the world he grew up in. It’s easily missed, but is a really important interaction in showing players that the Church of the Water Tsar aren’t as bad as you think. In the bunker below Guil’s lighthouse, there is a record room which holds a number of references. The first is about the books – Metro 2033 and 2034 are placed in the slots for March 2010 and May 2013. What’s weird about this however, is those are the dates the games were released, not the books, and while the game Metro 2033 is an adaptation of Metro 2033, Last Light isn’t really an adaptation of the book 2034 by a long shot. Look to the second image and you'll find this bottle of vodka placed in August 1991, a cryptic reference which I’m pretty sure refers to the ‘August Coup’ – the event which effectively ended the Soviet Union. And then (look to the third image) there’s this weird reference to 9/11, for some reason. Concealed within the cliffs at the centre of the Caspian Sea, you’ll find a mysterious beached ship. In case you hadn’t had enough of spiders in the bunker, rejoice! For there are plenty more in here. Fight the spiders and climb your way up to the bridge and you’ll find ‘The Hermit’, an ex-gang member who enjoys listening to your escapades through the Baron’s radio transmissions. Outside on the deck, you’ll also find one of the mutant snakes, happily sunbathing. Snakes in Exodus are irritating – I mostly remember hearing a hiss and my screen going blurry as I stepped on them while running through the desert. But scattered throughout the Caspian Sea, there is an extra special mutant variety – identifiable by their glowing mouths, stabby tails, and the fact they have legs. As far as I know, there are only three of them – one on the deck of the spider ship, one in the makeshift shooting range just past the hulk the slaves are dismantling, and one in a cave in the valley of freedom. If you found any more, give yourself all the gold stars (and then please tell me because I'm desperate to know). Upon entering the Taiger, it becomes clear that the Pioneers and the Pirates clash over their ideology – one only killing in defence, while the other effectively kills for sport. But some among even the Pioneers disagree, so they choose to live by themselves. The fisherman can be found by following the coast in the first area – his diary entry in the hut behind him, explains his decision to leave. Hug the west side of the first area and you’ll find the wolf hermit – a Pioneer who believed all they need do is live with nature, embracing the way of the wolf to be at peace. In return, the wolves most certainly embraced him. And, finally, there's the molotov guy. He can be found if you head west right after the first Pioneer camp. He left because he was unhappy with not being chosen as an Instructor, so he instead spends his time plotting revenge, and making molotovs, with which he plans to burn to rivals. He's a real class act. “Here lies Instructor Tanya, died saving the younger group from a wolf pack”. Descending from Olga and the Teacher’s memorial, I’m sure many of you spotted these interesting looking graves. If you're anything like me, your Russian was a little rusty and you could only guess what they were. Thankfully, I've done some leg work and I've been able to discern that these are the graves of the past Instructors – people, like Olga, who fought for the good of the valley. The text on the first image reads: “Here lies Instructor Tanya, died saving the younger group from a wolf pack”. These graves, as seen in the gallery above, make you realise the tragic fate that awaits Olga, and many of the people who decide to defend the valley. It also adds an even sadder note, when you discover the dam and how futile those sacrifices might have been. 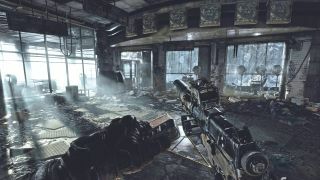 Secrets in Metro: Exodus are rarely wacky, but they can be obtuse. Still, so many of these harder-to-find moments will only add to your appreciation of the story, the characters, and the area that you find yourself lost in. It's for that reason that I’m sure there are still plenty of secrets out there, that we've all missed, just waiting to be discovered – it's one of the reasons I'll likely be returning to Metro Exodus for some time to come. Need some help escaping Moscow? Then be sure to visit this page for our extensive Metro Exodus Guide - The ultimate hub for everything you need to know about the excellent FPS.